As much as we here at Roadburn HQ love to acknowledge the classics that have made modern underground music what it is, it’s no less essential to acknowledge the bands that are pushing those boundaries today and to help showcase those who take sounds and styles to places they haven’t been before. 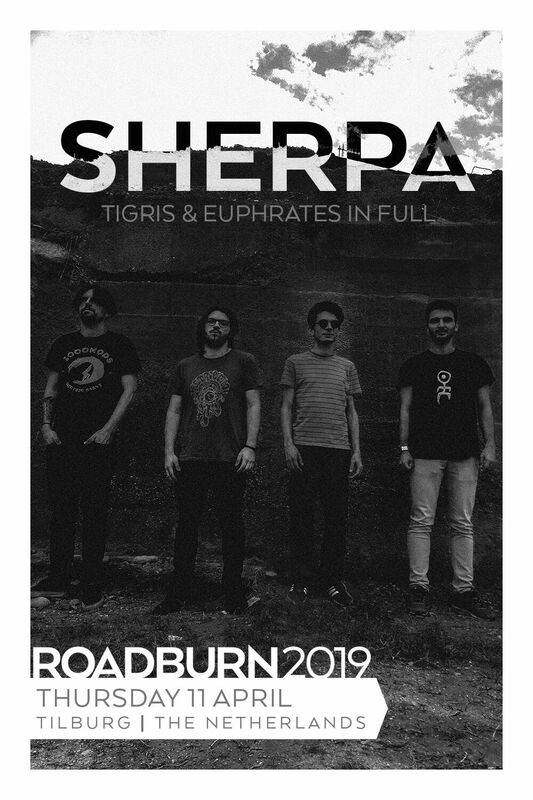 To that end, we’re thrilled to welcome Sherpa to play their 2018 album, Tigris & Euphrates, in its entirety, at Roadburn Festival 2019. Tigris & Euphrates is the second LP by the Italian psychedelic outfit. Released through Sulatron Records, it is a pivotal examination of human language and the evolution of interpersonal communication. They bring it to live in lush melodies and textures, a serene atmosphere, and a sonic depth to accommodate the breadth of their subject matter. As the follow-up to 2016’s also-go-listen-to-it-immediately debut, Tanzlinde, it’s an immersive listen that not only tells a story through its component songs, but is a remarkable accomplishment in its patience, scope and execution. It’s gorgeous, is what we’re telling you. Frickin’ gorgeous. Like evolution itself, Tigris & Euphrates is a slow, gradual process, but its sense of forward direction never wavers. Look for Sherpa to bring it to life on stage at Roadburn 2019 on Thursday, April 11.